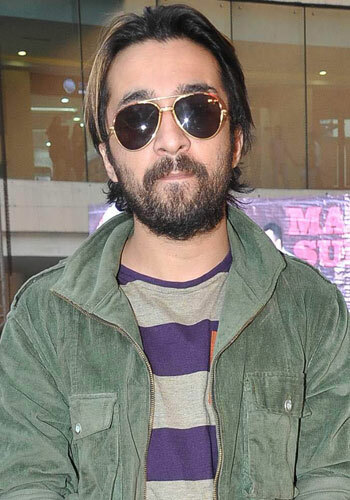 1) Siddhanth Kapoor did a graduation in Bachelors of Business. 2) His interests lies in travelling, music and food. Biography: Siddhanth Kapoor is the son of the renowned Indian actor, Shakti Kapoor. He would be starting off his acting career in B Town with Sanjay Gupta’s action crime drama film titled ‘Shootout at Wadala’, starring Siddhanth Kapoor himself along with Anil Kapoor, John Abraham, Kangana Ranaut, Tusshar Kapoor, Ronit Roy, Sonu Sood, Jackie Shroff and Manoj Bajpai. This particular flick is a sequel to Apoorva Lakhia’s film ‘Shootout at Lokhandwala’ (2007). This film would basically showcase the first registered encounter by the police of Mumbai, where ManyaSurve, the gangster was shot dead at a junction near Dr.Ambedhkar College in Wadala, Mumbai on the 1st of November, 1982.Here, Siddhanth plays the role of Gyanchand, who is a sharpshooter in Manya Surve’s gang.This film is all set to hit the screens on the 3rd of May, 2013. Initially he was supposed to make his debut in Soham Shah’s 2012 flick ‘Satte Pe Satta’ which is a remake of the original 1982 Raj N. Sippy directed ‘Satte Pe Satta’. Siddhanth did a film making course at London and he had also undergone a course in action at the prestigious Lee Strasberg Theatre and Film Institute.Initially he began his career as a disk jockey and later on he started working as an assistant director for two years under Priyadarshan in films such as ‘Bhool Bhulaiya’, ‘Bhagam Bhag’, ‘Chup Chup Ke’ and ‘Dhol’. He also wanted to work with the renowned director, Anurag Kashyap in his film ‘Ugly’ and he managed to get a role in the film. This film which has Tejaswini Kolhapure, Pallavi Sharda and Ronit Roy amongst its cast crew, has been selected for the Cannes Film Festival Director’s Fortnight sidebar. Can A Comedy Be A Catalyst For Change?